Wrap yourself up in Christy's stunning range of luxury towels, made with only the finest quality cotton to give you wonderful softness, exceptional absorbency, and outstanding durability. Our iconic towel collections, including Supreme Hygro, Royal Turkish, Renaissance and more, feature coordinating items such as bath mats and bathrobes so you can achieve a completed look that is modern, yet timeless. 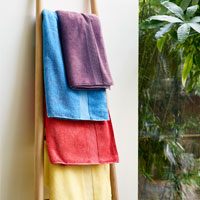 Take a look at our stunning range of towels, available in a range of colours, styles and sizes, below. 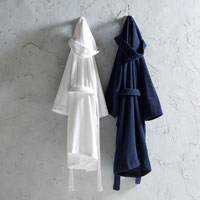 Since 1850, Christy has provided modern yet luxurious towels to dedicated customers around the world. Made using only the finest quality cotton, Christy towels are soft, stylish and long-lasting. Our team of British designers prides themselves on dedicating as much attention to detail with small face cloths as they do large bath sheets, so you can be sure you'll receive a high-quality, well-designed product every time. Why not join millions of others and own your own piece of luxury today with Christy. With a range of sizes and options, including face cloths, hand towels, guest towels, bath towels, bath sheets and jumbo bath sheets to choose from, you’ll be spoilt for choice. Why not complete the look with a coordinating bath mat so you and can be wrapped in luxury from the top of your head to the tips of your toes. 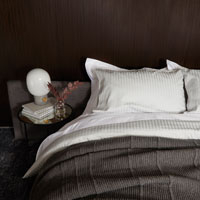 Find out more about how we use our superior fibres and cottons here.